Easy like a Sunday morning! | Hello World! Spring time is my favorite season here in Adelaide. It is not too hot, it is not too cold and when walking in the parks, all the colours are so vibrant. I have never seen a sky that blue, a grass that green, a flower that orange, a bird that colourful. Every day is the perfect excuse for me to take my bike and wander around. 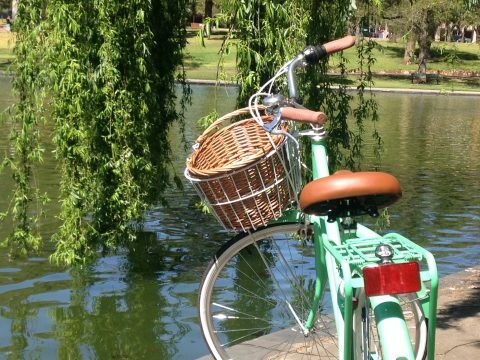 The best way to enjoy Adelaide is by bike! One of the many things I enjoy the most is to go to the market (central market on Saturdays is my fav). But I have my little routine: it has to be with my bike (so rainy days are excluded) and I like to have a purpose like : today I need to buy parsley or triple cream cheese or blueberry muffins or god knows what! Give me a mission and I am on my way! Take the time to smell and gaze at these beauties! 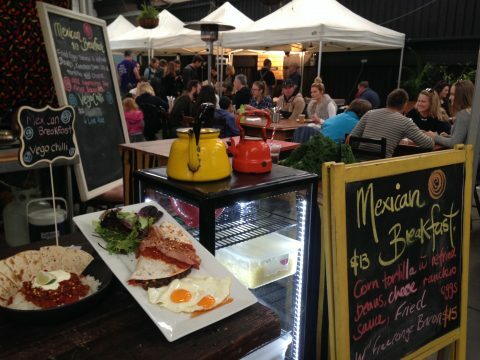 There is a cute little market on South Terrace, I discovered it lately and I really think this is the perfect spot to meet friends for brunch. 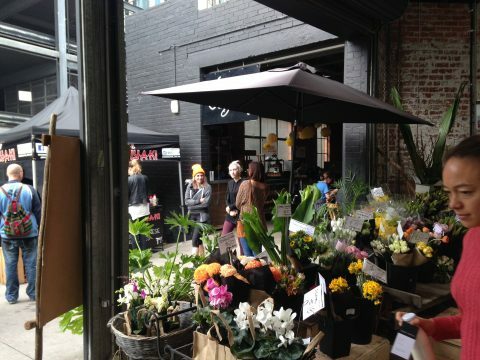 It is called the Market Shed on Holland street and it is a lovely place to be on Sundays! It has a cool vibe with its local fresh products and its intoxicating scent of freshly ground coffee ❤ Besides there are bands playing live music and it has this “je ne sais quoi” in the air that makes it so welcoming. Feeling down?! Have a kermit! If you are into healthy drinks, may I recommend this kermit beverage. 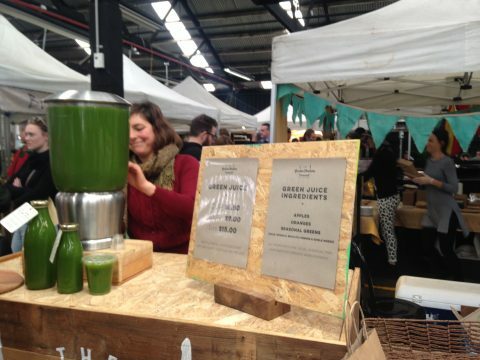 It is full of vitamins with oranges, apples and seasonal greens (Kale, Spinach and broccoli). 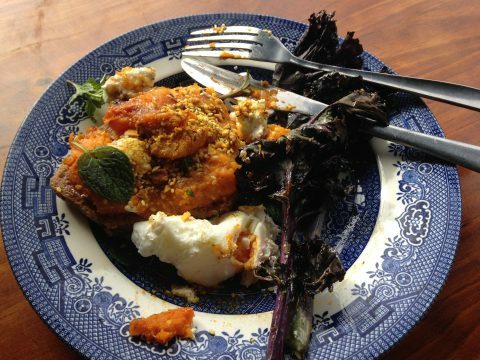 Delicious without guilt, so the perfect combination! Besides green is the colour of luck so it is a good start for a perfect day! Fiesta on your plate, fiesta on your palate! 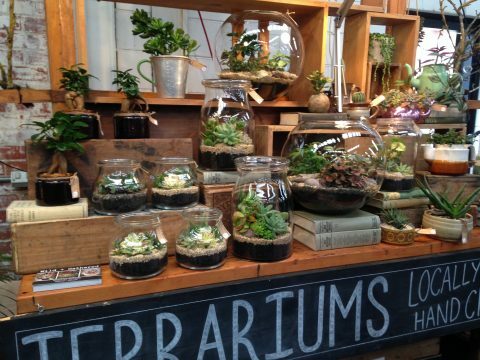 Aren’t these terrariums adorable?! The simple fact to gaze at them is already a blessing. Maybe someday i will buy one but I am not sure it will survive the trip by bike! Actually I have a green succulent at home (a present from my colleagues), I put it on my desk and I really like it. It is hard to explain but somehow I find it very calming. I confess, if that exists, I am definitely a chocolatarian! 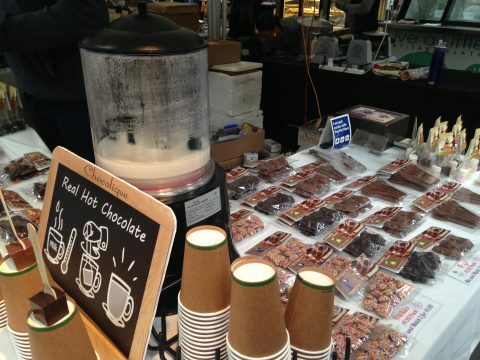 At the back of the market, there is the real deal: Belgium hot chocolate! I tried it once with my friend Cathy (from China) and we both felt in love with it! Besides the guy working at this stall is soooo nice. Don’t hesitate to have a chat with him, you won’t regret! As a matter of fact, he comes from Brussels, he used to work in a Bank and he decided to change his life, to come to Australia with his wife and start his chocolate business! Sweet! 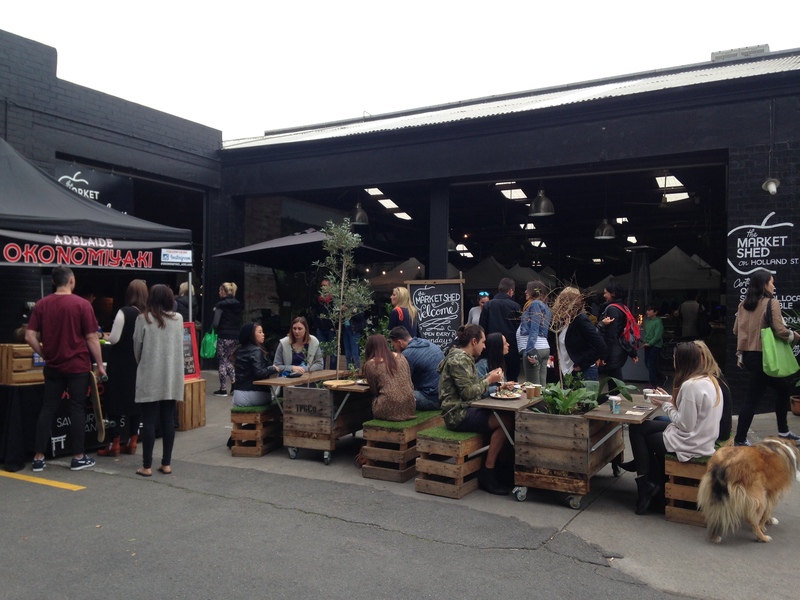 So next time, why not sit and relax at the Market shed on Holland Street and take it easy as a Sunday Morning! Previous PostTotal blackoutNext PostGood morning Vietnam! yes it is good to be back 🙂 thank you!